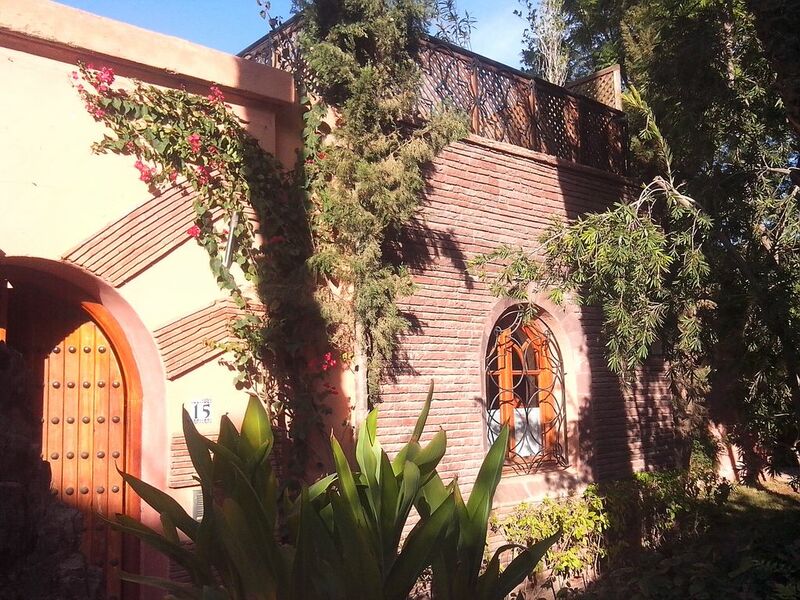 Ideally located in a green and peaceful family residence with a collective swimming pool (entry fee), this lovely house is only minutes away from the city centre of Marrakesh. It combines traditional Moroccan style (tadlakt, zellige, ...) with all modern cons and is the perfect retreat from the hustle and bustle of the Medina and the souks. (Text automatically translated) Access to the city center: Take the Route de Casablanca, passing then to Marjane Afriquia, turn right onto the Circuit de la Palmeraie, turn first right towards the Agency and Ben Darqaoui Blokk restaurant is 500 meters on the right. Entrance and parking at the second gate after the entrance tower. (Text automatically translated) Tennis nearby. Playground for children nearby. Golf nearby. Pools nearby.